The five-member national selection committee of the Board of Control for Cricket in India (BCCI) has named the 15-man India squad for the ICC Cricket World 2019. Middle-order batsman Ambati Rayudu has been left out of the squad for the world cup, which will be led by Virat Kohli. Rohit Sharma has been retained as the vice-captain of the side. 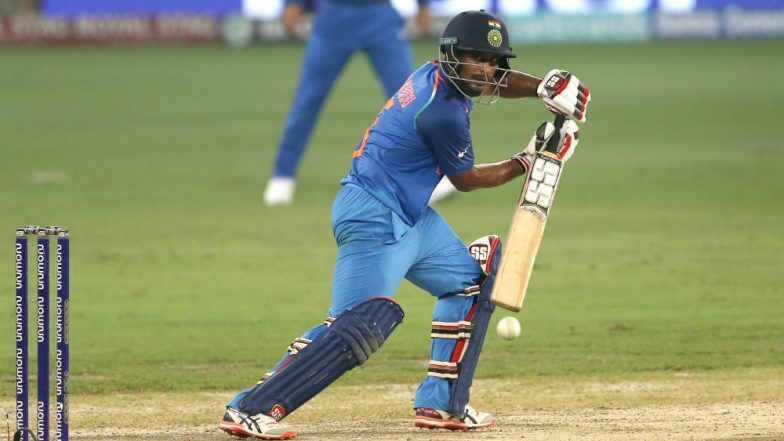 Rayudu was competing with KL Rahul for a place in the world cup squad and selectors included the latter. ICC Cricket World Cup 2019 Schedule in PDF: Ticket Prices, Dates, Venue Details & Timetable Available for Download Online. Rayudu had almost cemented his place in the India ODI team following an impressive tour of New Zealand earlier this year. Against the Blackcaps, Rayudu scored 47, 40 not out, and impressive 90 to stake claim at the number four batting position, However, in March this year against Australia at home, Rayudu looked out of form and after three back to back failures he was left out of the playing XI for last two ODIs. Meanwhile, in the ongoing Indian Premier League 2019 (IPL 2019), Rayudu, while playing for defending champions Chennai Super Kings (CSK) has managed to score just 138 runs from eight outings, including 57 against Rajasthan Royals (RR). In first few matches, Rayudu was sent out as an opener and was later demoted to the middle-order. Vijay Shankar Included in Team India for ICC Cricket World Cup 2019, Check Full 15-Man Squad.